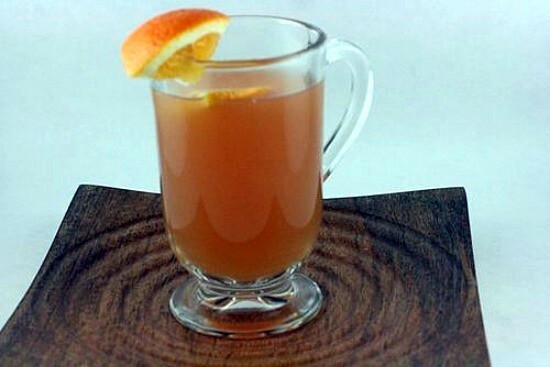 Honey Hot Chocolate. Or Honey Hot Cocoa, if you will. Call it what you like but make it. Definitely make it! Our family keeps bees and we belong to a regional beekeepers’ association. My husband and his mother sometimes attend the monthly meetings. They don’t attend the meetings often because they are held a good distance away from where we live. For us, the best part of belonging to the beekeeping group by far is getting its monthly newsletters. My favorite part of the newsletters—not surprisingly—is the recipes. Back to the recipes. They’re always recipes that use honey, of course. 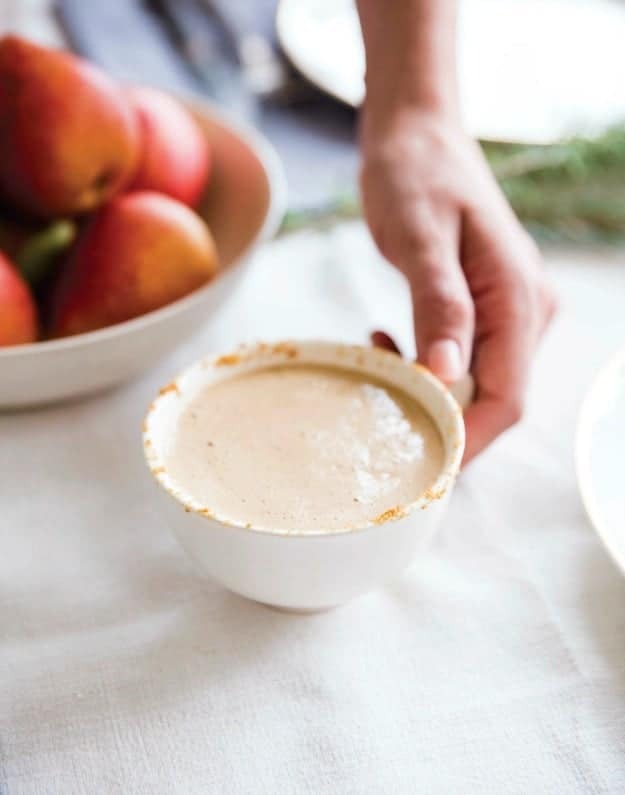 We love using honey from our bees, so when we can incorporate it in recipes—it’s a lovely, sweet bonus! This month’s newsletter recipes were Spaghetti Sauce and Honey Salad Dressing. Both were made from naturally gluten-free ingredients—so gfe! I can’t wait to try both. However, it was a recipe from last month’s newsletter that came to mind when I finally settled down this evening. It had rained endlessly all day and the promised high of 50-degrees had never materialized. It was in the lower 30s when I left home and equally cold when I returned. At work, I had not made much headway on a work assignment with a rapidly approaching deadline and attendance at a meeting on Friday was strongly encouraged. Friday is my usual day off. Sigh. Outings to attend other meetings during the cold wet day including a slow-to-open umbrella and standing water in our office parking lot had left me chilled to the bone. So I was a bit grumpy and looking for warmth and comfort when I finally hit home. I changed into comfy, warm clothes, then added wood to the wood stove and cranked it up. I chatted with my husband a little before he left for a weekly visit with a cousin. While my work decompression routine continued, our son packed up his stuff, hugged and kissed me good-bye, and headed out the door to return to college. Feeling a bit of melancholy on top of my slight grumpiness, I found the recipe for Honey Hot Chocolate on the top of my “must try” recipe heap. While the syrup mixture was warming on the stove, I located the friendly snowmen mug that had beckoned to me at the thrift store right before Christmas. The full Honey Hot Chocolate recipe made four servings, but I made just one serving and filled my mug. The snowmen smiled broadly at me and I immediately started feeling better. The hot chocolate took little time to make and was very satisfying. It’s quite a nice balance of chocolate and honey—whichever variation you make (explained in the recipe below). Either way it’s not heavy, as homemade hot chocolate sometimes can be. Usually, I alternate adding additional cocoa and sugar … trying to find that perfect, “just right” combination. 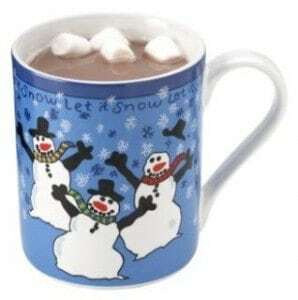 With this recipe, that kind of tweaking is unnecessary—the hot chocolate is “just right” as it is so you can have your warming and satisfying Honey Hot Chocolate fix quickly. And I love that! This hot chocolate is "just right" as soon as you make it. No tweaking needed! So you can have your warming, satisfying Honey Hot Chocolate fix ASAP. For a single serving of hot chocolate, stir ¼ cup chocolate syrup into ¾ cup hot milk. 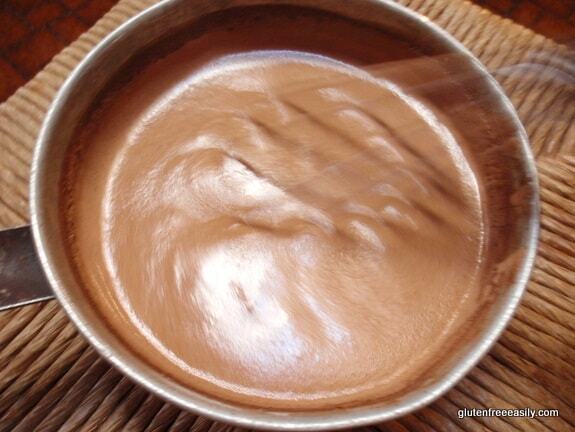 In a small saucepan, combine honey, cocoa powder, and water (if used); mix well. Cook over low heat until mixture is slightly thickened. Remove from heat; stir in vanilla extract. Set aside until ready to serve. 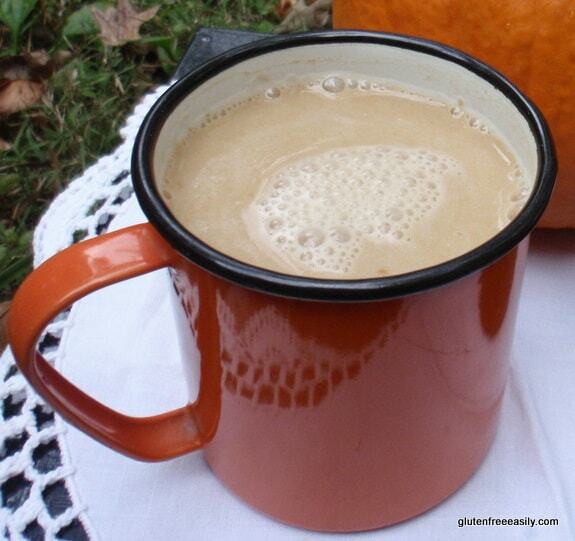 When ready to serve, heat milk (in saucepan or microwave). Stir chocolate syrup mixture into hot milk until thoroughly combined. The chocolate syrup part of this recipe may be prepared in advance and stored (covered) at room temperature for up to 2 weeks. For the chocolate syrup, you can leave out the water or only add a tiny amount that you used to rinse out your measuring cup after measuring honey and cocoa. The amount of water to make your chocolate syrup really depends on how thick both your honey and milk are. 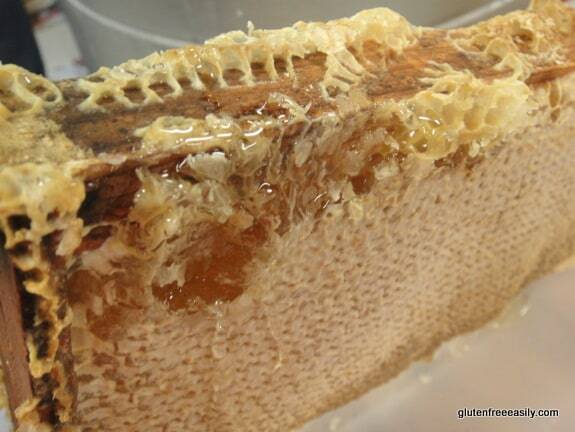 Many believe that local honey provides some relief against allergies. Local honey is typically not pasteurized. Pasteurization of honey is not needed; this heating just allows the honey to be processed more quickly as honey flows more readily when heated. Many (myself included) maintain that the flavor for pasteurized honey is less appealing than that of non-pasteurized honey. Important note: The CDC recommends that children younger than 1 year of age should not be given honey. This recipe is a member-submitted recipe at the National Honey Board. Originally published January 7, 2009; updated December 13, 2018. Sounds yummy, except for the milk! I have done hot chocolate with unsweetend almond milk, and it is quite good. GFCF, gluten free casein free, what’s next???? I never would have thought to put honey in hot chocolate, very interesting! Jennifer-You can be one of our GCGF contributors … telling us how to easily make recipes CF or expand upon my comments on making a recipe CF-just like you did here! Do you make your own almond milk? If so, could you share that info here … or what kind you purchase. Thanks so much! I grew up on honey. Mostly dark amber colored pine honey from the forests around the village. It is amazing how honey from region to region can taste very very distinctly different. Here in Canada I purchased some pine honey from Turkey, though same in color, the flavor was much stronger. I’m having “bee envy!” I eat a lot of honey. My grandpa had bee hives and I loved the early dark honey from tulip tree blooms. I was tempted to sign up for a beekeeper class offered locally. But I need to get ready for my chickens (coming in May!) They will probably be enough of a challenge. H. Peter–We always like to sample local honey when visiting different areas, and I agree the differences in taste can be dramatic. I don’t have a sense for what pine honey tastes like at all. Our honey is light and mild most years. Unlike “professional” beekeepers, we don’t move our hives to different areas to ensure we get honey from a particular flower. Ours is a lovely blend, but it changes slightly from year to year according to what is blooming the most. Kay–LOL “bee envy” … I am sharing that with my husband. He’ll get a chuckle out of it! 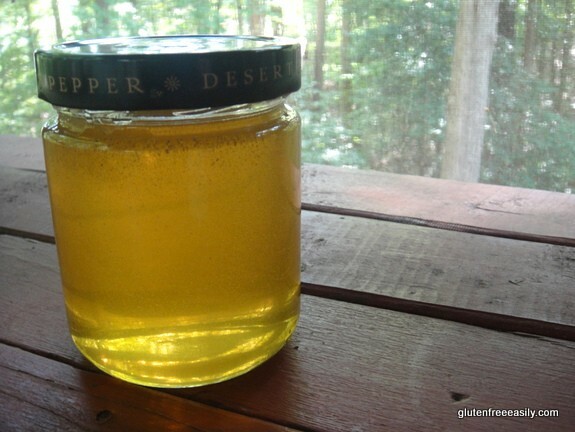 Ah, poplar honey (a.k.a. tulip tree or tulip poplar) … that is VERY good, too. (The only bad honey is uncapped honey … taken before the bees have finished their work.) May will be here before we know it. Looking forward to hearing about your chicken experience! Several members of my husband’s family raise chickens and there always fun tales as well as FABULOUS eggs, of course. Hey, Shirley, is the water really necessary? I like thicker hot cocoa, and maybe leaving it out won’t matter much. Nance–Reporting back … results: in one word, outstanding! I wouldn’t say it’s tremendously thicker, but the cocoa packs more of a punch (which can never be a bad thing in my book). 🙂 I did add a very small amount of water to help remove the honey from the measuring cup, plus I don’t really like heating honey “directly” because I think it changes it a bit and makes it lose some of its natural flavor (part of my objection to pasteurization). You’ve improved the recipe, Nance! I will update the recipe with that note. Thanks! Wow, you have bees?! I’m impressed. You lucky girl, the honey must be divine. I use light coconut milk in my hot cocoa. And a touch of honey and a bit of cinnamon. I might have to go make myself some right now. Sounds to good just to think about. Your recipe for hot cocoa sounds very nice. I need to determine if I have any issues with coconut milk. (I just found out I can’t tolerate coconut oil.) Do you buy your coconut milk in large quantities? I’ve only seen small cans in the store. Furthermore, now that I recall, it all contains guar gum and I don’t do well with that either. Anyway, hope you made some cocoa and enjoyed it! Yes, most (all?) coconut milks contain some sort of “gum” in small amounts. I buy the organic version, either by the case or when it’s on sale to get a discount. I use organic brown rice milk in my baking, cooking, or on cereal as well. The coconut milk is only for certain things. There’s a coconut sugar available as well. As for your bees — talk about eating LOCAL! Good for you. I’m fascinated. Also, thanks SO much for the comment about grains and dogs. I really appreciate you adding that. I should have included it to begin with. I actually have that info on my “About” page — briefly mentioned, but just failed to include it on this post. Thanks! You’re a good gluten-free girlfriend! You’re quite welcome re: the comment on your latest post on your beloved Fairbanks II and foods dogs can’t eat safely. We have to spread the word on gluten affecting our pets just as much and take care of our faithful companions! LOL … you’re welcome and back at you … the value of comments can’t be underestimated, because we all can’t remember everything when we post an entry! Yes, it’s nice to have “back-up” when you need it! We’re in this together. I make hot chocolate too with honey – a local raw honey I buy from the Farmer’s Market here in Bellingham, WA. 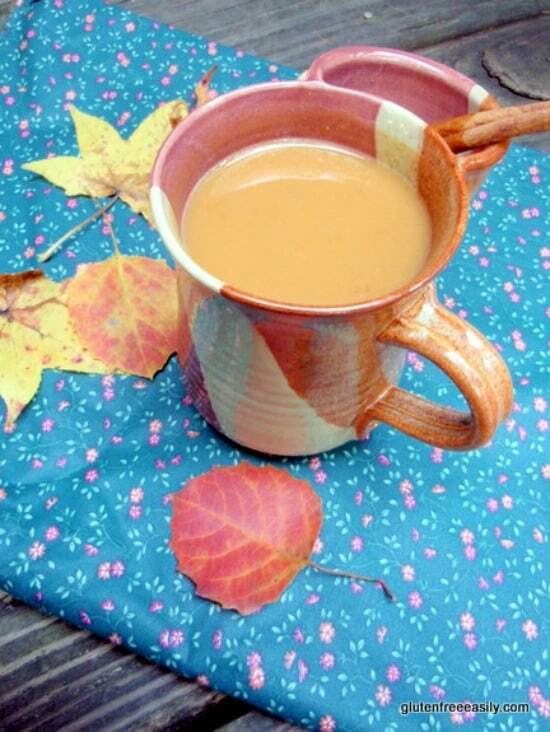 I use organic almond milk, Dagoba organic cocoa powder (which is GF), vanilla, and honey. Mmm, its my favorite on a chilly rainy day. Ali–Everyone raves over the Dagoba organic cocoa powder. I really must get some soon. It’s definitely cold enough here for some more honey hot chocolate. Maybe tomorrow … must turn in now. 😉 Thanks so much for stopping by and commenting! I hope everyone checks out your blog, especially your recent post on Vit D! I’ve been meaning to tell you my hubby is crazy for bees! He may have his own hive at our neighbors down the street this year 🙂 She already has two of her own. Go honey bees! Thanks so much for taking the time to comment. Merry Christmas!